In lists of best recent books Joan London’s The Golden Age (Vintage/Random House Australia) has featured as stand-out Australian fiction, alongside Ceridwen Dovey’s (Hamish Hamilton/Penguin) Only the Animals. 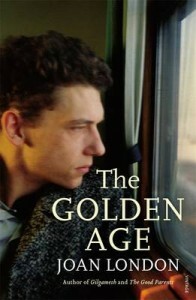 I had already read Only the Animals and just had to read The Golden Age to see what the fuss is about. Joan London has written a reflective narrative set mainly in 1954 about children who are recovering from polio in a Perth convalescent home. 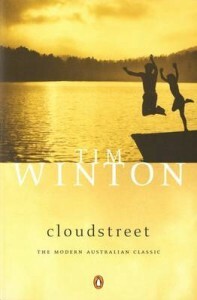 The sprawling house where they are cared for, the Golden Age, with its verandah, corridors and wards for Boys and Girls, is as powerful a building as Tim Winton’s house in Cloudstreet. The children almost seem to be on an educational holiday camp, with diverse company, activities and good food and care. Those who stayed for Christmas ‘seemed much happier than those who returned at bedtime, exhausted, silent, distant and alone’. The Golden Age becomes a microcosmic utopia or refuge – for a time – outside the children’s own often-difficult lives, an irony considering their precarious, damaged health and mobility. The children tell their ‘onset’ and other stories: Elsa collapsed riding her bike home after tennis, Ann Lee needs to recover and walk after her failure to water the thirsting brumbies. Thirteen-year-old Frank Gold comes from a musical family, writes poetry and loves Elsa. His Hungarian migrant experience parallels that of some refugees whose arrival in Australia is almost as fraught as their past. Frank’s first Australian Christmas is spent in a polio hospital. And, like returned servicemen, the children often feel displaced when they go home. 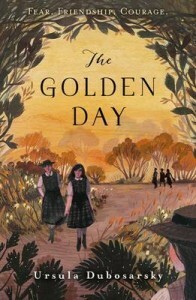 https://twitter.com/joylawn1/status/521161281097592834 and Ursula Dubosarsky’s poignant YA novel, The Golden Day. Gold is clearly a powerful motif in literature and is intrinsically linked with children. Children are gold. 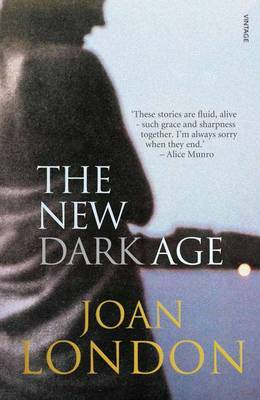 Joan London’s other novels are Gilgamesh, which won the Age Book of the Year for Fiction in 2002 and was long-listed for both the International IMPAC Dublin Literary Award and the Orange Prize and The Good Parents, which won the 2009 Christina Stead Prize for fiction. Her two awarded short story collections, Sister Ships and Letters to Constantine have been published in one volume, The New Dark Age. Boomerang Books would like to congratulate all the winners of the 2009 NSW Premier’s Literary Awards. We’re proud of you as book lovers and as Australians. The fact is, the whole of Australia despises my father more than any other man, just as they adore my uncle more than any other man. I might as well set the story straight about both of them. Heroes or criminals? Crackpots or visionaries? Relatives or enemies? It’s a simple family story. From the New South Wales bush to bohemian Paris, from sports fields to strip clubs, from the jungles of Thailand to a leaky boat in the Pacific, A Fraction of the Whole follows the Deans on their freewheeling, scathingly funny and finally deeply moving quest to leave their mark on the world. In 1979, Nam Le’s family left Vietnam for Australia, an experience that inspires the first and last stories in The Boat. In between, however, Le’s imagination lays claim to the world. The Boat takes us from a tourist in Tehran to a teenage hit man in Colombia from an ageing New York artist to a boy coming of age in a small Victorian fishing town from the city of Hiroshima just before the bomb is dropped to the haunting waste of the South China Sea in the wake of another war. Each story uncovers a raw human truth. Each story is absorbing and fully realised as a novel. Together, they make up a collection of astonishing diversity and achievement. Ms Katharine Brisbane AM for her service to Australian literature and theatre. Click HERE for a list of her writing. Maya de Jong, an eighteen-year-old country girl, comes to live in Melbourne and starts an affair with her boss, the enigmatic Maynard Flynn, whose wife is dying of cancer. When Maya’s parents, Toni and Jacob, arrive to stay with her, they are told by her housemate that Maya has gone away and no one knows where she is. As Toni and Jacob wait and search for Maya in Melbourne, everything in their lives is brought into question. They recall the yearning and dreams, the betrayals and choices of their pasts – choices with unexpected and irrevocable consequences. With Maya’s disappearance, the lives of all those close to her come into focus, to reveal the complexity of the ties that bind us to one another, to parents, children, siblings, friends and lovers. In 2004 Cameron Doomadgee, a 36-year-old resident of Palm Island, was arrested for swearing at a white police officer. Within 45 minutes he was dead. The main suspect was well respected Senior Sergeant Christopher Hurley. This is the story of what happened, the trial, and the Aboriginal myths around the case. L K Holt’s poems are stories, and eruptions from the midst of story. They are also pure lyric. A feeling for the formality of language guides her lines through a music of rhyme, half-rhyme (and quarter-rhyme) and turns found images of this world into blazon. She explores some dark matters – with homages to Goya, through the eyes of his mistress, and to Donne. She has a particular touch with the sensory strangeness in states of extremity; yet the giftedness of life breaks into vision in Holt’s poetry with lightness. Discover the meaning of acronyms, cliches and spoonerisms. Find out the history of the alphabet, punctuation, pen names and plurals. Learn how to trick your friends by speaking in Pig Latin or rhyming slang. This entertaining, quirky and enlightening look at the English language is full of games, puzzles, facts and riddles. Ages 9+. Sophie FitzOsborne lives in a crumbling castle in the tiny island kingdom of Montmaray, along with her tomboy younger sister Henry, her beautiful, intellectual cousin Veronica, and Veronica’s father, the completely mad King John. When Sophie receives a leather-bound journal for her sixteenth birthday, she decides to write about her day-to-day life on the island. But it is 1936 and the world is in turmoil. Does the arrival of two strangers threaten everything Sophie holds dear? 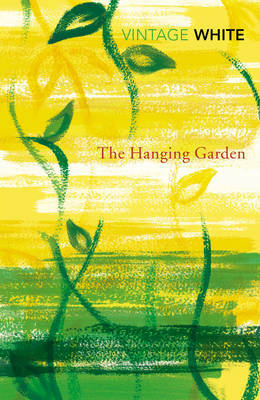 From Sophie’s charming and lively observations to a nail-biting, unputdownable ending, this is a book to be treasured. In 1901 most Australians were loyal, white subjects of the British Empire with direct connections to Britain. Within a hundred years, following an unparalleled immigration program, its population was one of the most diverse on earth. No other country has achieved such radical social and demographic change in so short a time. Destination Australia tells the story of this extraordinary transformation. Against the odds, this change has caused minimal social disruption and tension. While immigration has generated some political and social anxieties, Australia has maintained a stable democracy and a coherent social fabric. One of the impressive achievements of the book is in explaining why this might be so. Veteran economic and financial observer, David Love, explores the story of Keating’s revolution – a story that has never before been fully told – and sounds a timely warning that the failure to finish the job Keating started has left our new-found prosperity vulnerable, particularly in the current climate of international economic uncertainty. The revolution, it turns out, is at least as relevant to the future as it has been to the past. David Colmer for his translations from the Dutch.